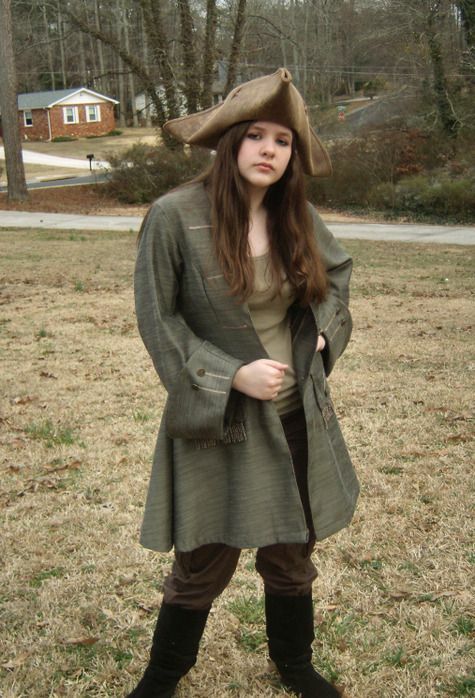 My siblings and I are going to be making a pirate film this summer and I'm excited to be making the costumes for our little film. 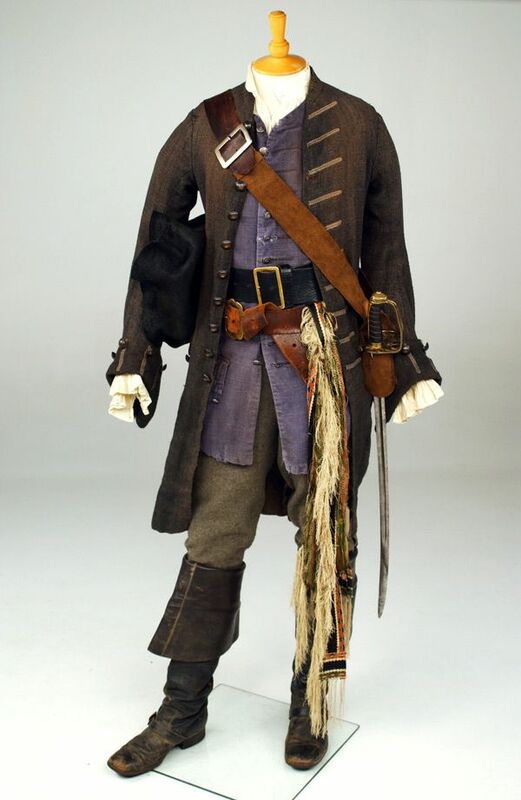 I've started doing a little research on pirate costumes from movies such as Pirates of the Caribbean. 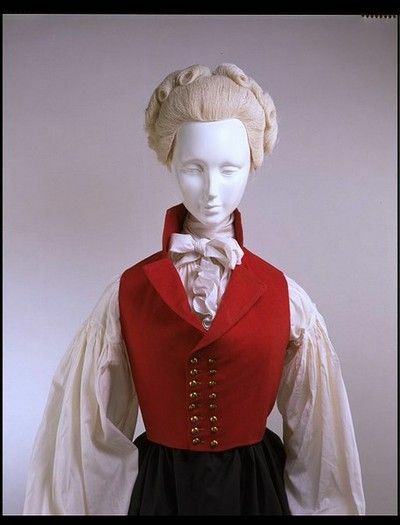 One thing I really want to do is make the costumes feel like they could have come out of the 18th century. I don't know if this is actually going to happen, but it's my goal. 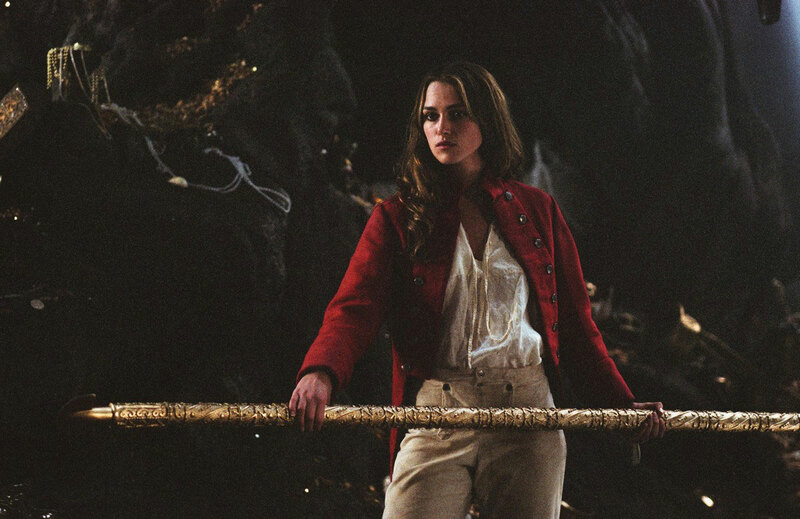 Here's a few of the costumes from Pirates of the Caribbean designed by Penny Rose. 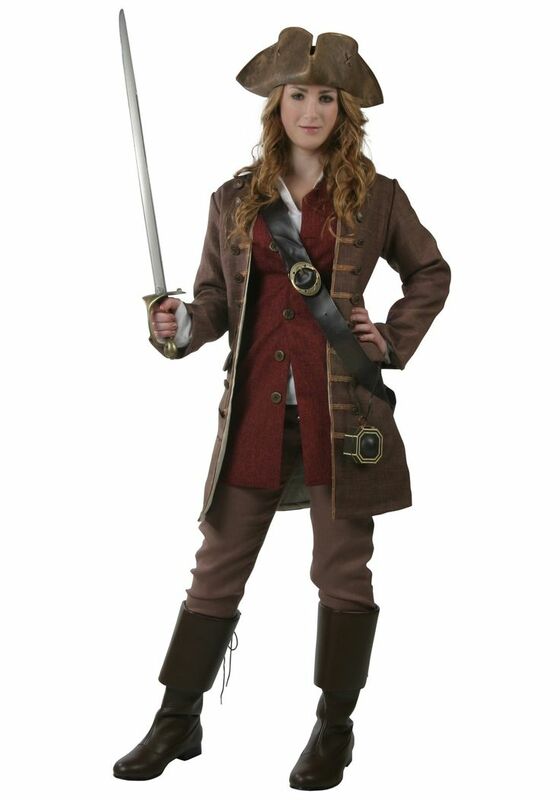 And here's a few other pirate costume's I found on Pinterest. 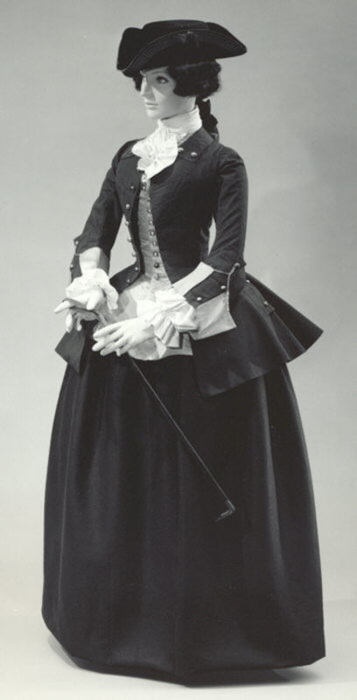 While I was looking at fashion from the 18th century, the type of clothing that caught my eye was the riding habits of the era. I think that's probably because they were designed for an outdoor activity in the first place. Something along those lines could work. 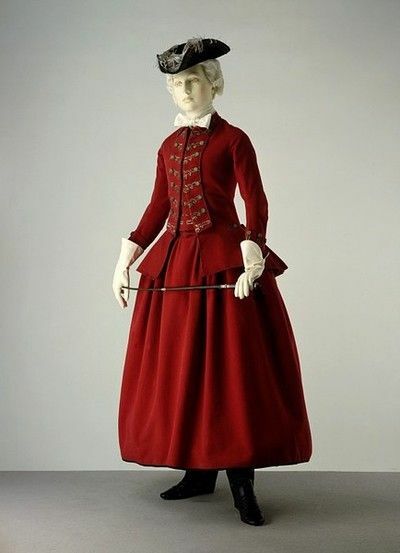 This riding habit jacket in particular caught my eye. I like the the buttons and embroidery on the front, it has a sort of military influence to it. I also really like the hat. 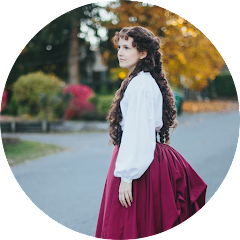 I think the hardest part in making the costumes will be the female pirates because unless I do it just right, a skirt won't work.